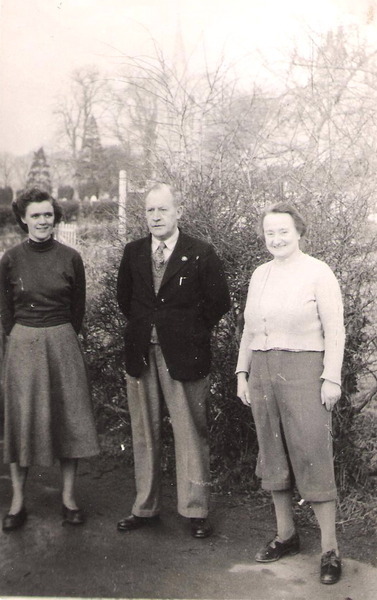 This photo was taken in the old school yard at Lutton in February 1952. The headmaster, Mr T.H. Temple, is in the middle. He taught the 'top' class. His wife, Mrs I. Temple, is on the right. She taught the 'middle' class. Mrs I. Neal (on the left) taught the Infants. Mr and Mrs Temple retired in 1958. Mrs Neal left Lutton school in 1965 and went to teach at Long Sutton.